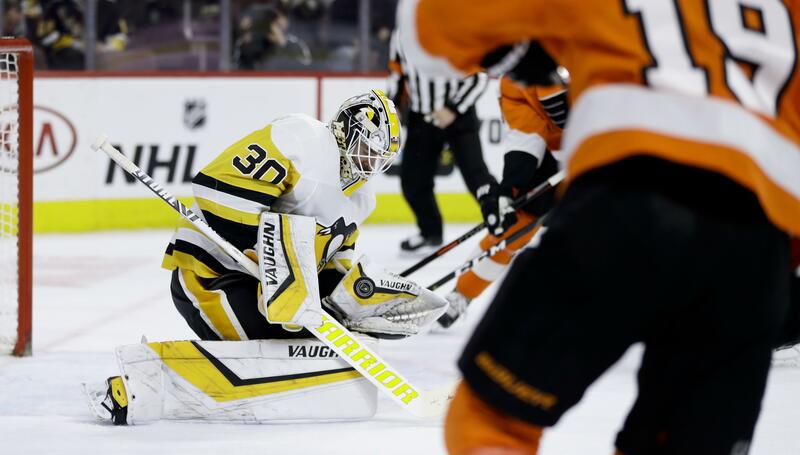 Mon., Feb. 11, 2019, 9:56 p.m.
Matt Murray made 50 saves and Sidney Crosby had a goal and an assist to lead the Pittsburgh Penguins to a 4-1 victory over the Philadelphia Flyers on Monday night in Philadelphia. Capitals 6, Kings 4: In Washington, Evgeny Kuznetsov had two goals and two assists to lead Washington over Los Angeles. Sharks 7, Canucks 2: In Vancouver, British Columbia, Evander Kane scored twice, leading San Jose over Vancouver. Published: Feb. 11, 2019, 9:56 p.m.